The Jaguares rallied from 19-3 down in the second half to beat Melbourne 25-22 on Saturday, denting belief the Rebels are contenders for the Super Rugby title. The Jaguares improved their record to 3-5 from eight matches with a rare away win from a magnificent second-half effort and a dramatic late decision by the Rebels. With fulltime showing on the clock, the Rebels were awarded a penalty close to the posts which, if kicked, would have ensured they would draw the match and take two championship points and likely stay atop the Australian conference. But after a lengthy team conference, the Rebels chose to go for a try which would give them the win. But they were sacked at a maul, lost possession, and the Jaguares cleared to touch to end the game. Rebels captain Adam Coleman said he fully supported the collective decision to give up the certainty of a draw for the faint possibility of a win. "We're not here for a draw. 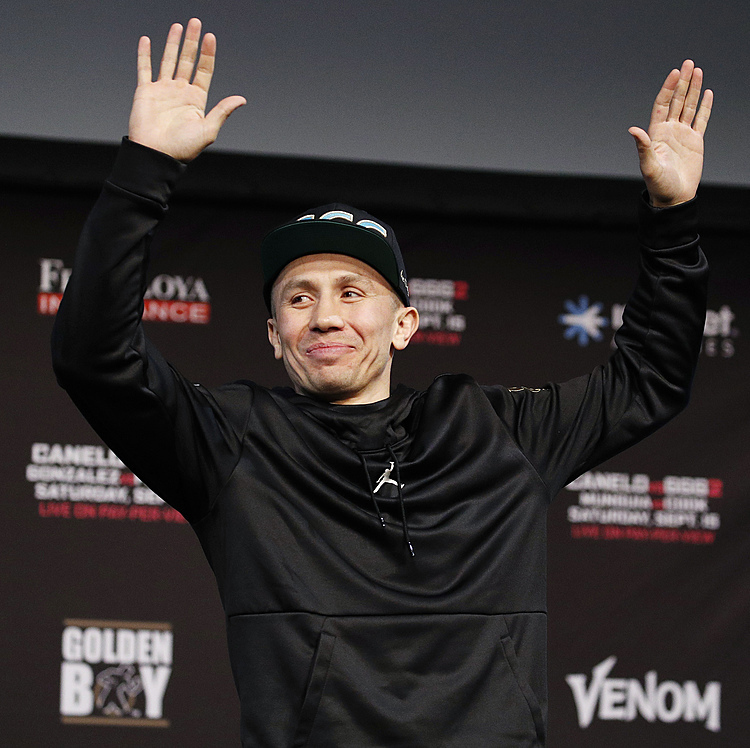 All or nothing," Coleman said. In the Australian conference grudge match, the New South Wales Waratahs beat the Queensland Reds 37-16 in Sydney, with Taqele Naiyaravoro crossing twice and Jake Gordon and Harry Johnson-Holmes also scoring. A 90-meter intercept try in the 60th minute by winger Waisake Naholo set the Highlanders on course to beating the ACT Brumbies 43-17. The match was close, with the Highlanders leading 15-10, until Naholo pounced on a loose pass by Brumbies flyhalf Wharenui Hawera and ran away to score. Leading 22-10, the Highlanders were able to relax and play their natural attacking game, adding late tries to Ben Smith, Shannon Frizell, and Fletcher Smith for a win which extended to 34 matches the winning streak of New Zealand teams over Australian teams in Super Rugby. The Blues came from behind to beat the Sunwolves 24-10 in Tokyo to avoid their second straight loss to the Japan-based team and their fourth straight loss this season. The Sunwolves won 48-21 when the teams met last season. 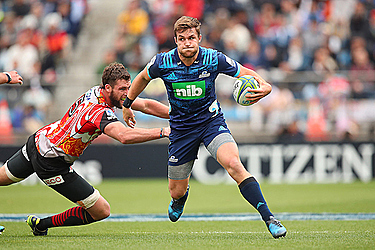 Winger Jordan Hyland scored two tries to propel the Blues to their second win in seven matches, after the Sunwolves started strongly and led 10-0. In the last match of the round in Durban, South Africa, the visiting Bulls scored six tries to one to overpower the Sharks 40-10 in teeming rain, with fullback Warrick Gelant collecting a hat trick. The Bulls, who won the last of their three Super Rugby titles in 2010, moved off the bottom of the South African conference and up to third behind the Sharks with the victory. Adriaan Strauss also scored a try in his record-extending 150th Super Rugby game, while the Sharks' only try came through center Andre Esterhuizen. In Melbourne, the Rebels seemed to have the match in safe keeping after a strong first half in which tries to center Billy Meakes and winger Marika Koribete put them 14-3 up. The lead increased to 19-3 with a Dane Haylett-Perry try eight minutes into the second spell. The Jaguares put themselves back in the match within two minutes with a try to Sebastian Cancelliere and closed the gap to one point with a 54th-minute score to Ramiro Moyano. A penalty to Jack Debreczeni increased the Rebels' advantage before the Jaguares seized the lead with a try to Bautista Ezcurra six minutes from fulltime. The Rebels held the ball through 35 phases in the final minutes without breaking through the Jaguares' defense. Their only scoring chance came from the late penalty which they passed up in the hope of greater glory. The Rebels were the early pacemakers in Super Rugby but have lost to the Waratahs, Hurricanes, and Jaguares and dropped to a 4-3 record. The Jaguares, meanwhile, savored a rare away win. "We didn't have the start that we wanted but in the second half we really wanted to get the win," Jaguares captain Pablo Matera said.